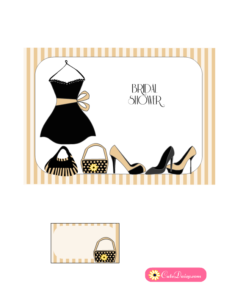 If you are having a Little Black dress themed Bridal Shower Party or Fashion themed Party you will absolutely love these Little Black Dress themed Bridal Shower Invitations that I have created today. 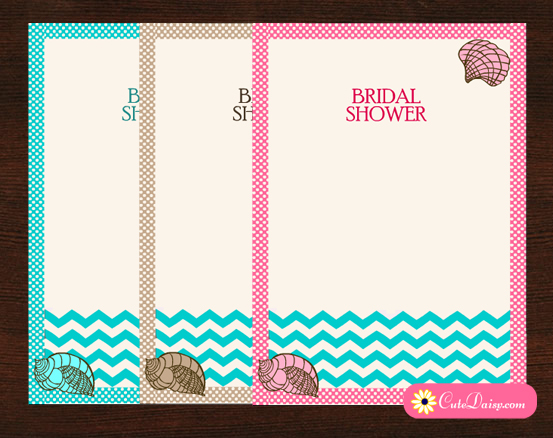 I have made these invitations in 4 different colors so you can choose and print the color you like the most. 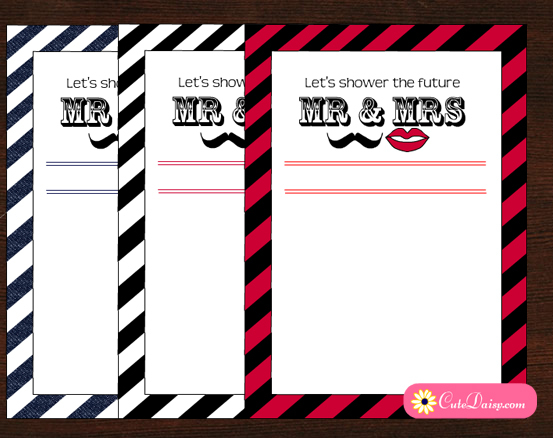 I have made editable PDF files for these printables in which you can insert your own text. 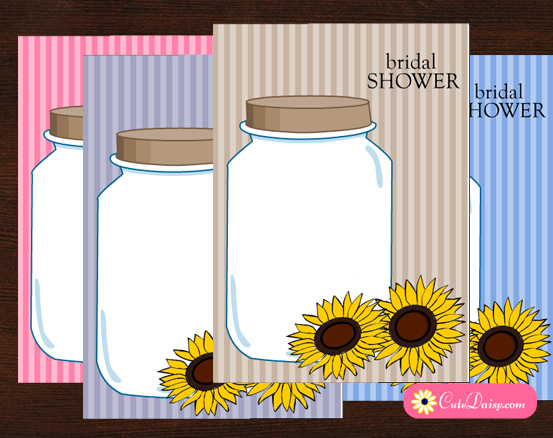 These invitations are blank and the word Bridal Shower is not written on these because the font I used for these was copyrighted and was free only for personal use so I couldn’t add it. You can write to me if you face any difficulty in personalising these invitations. 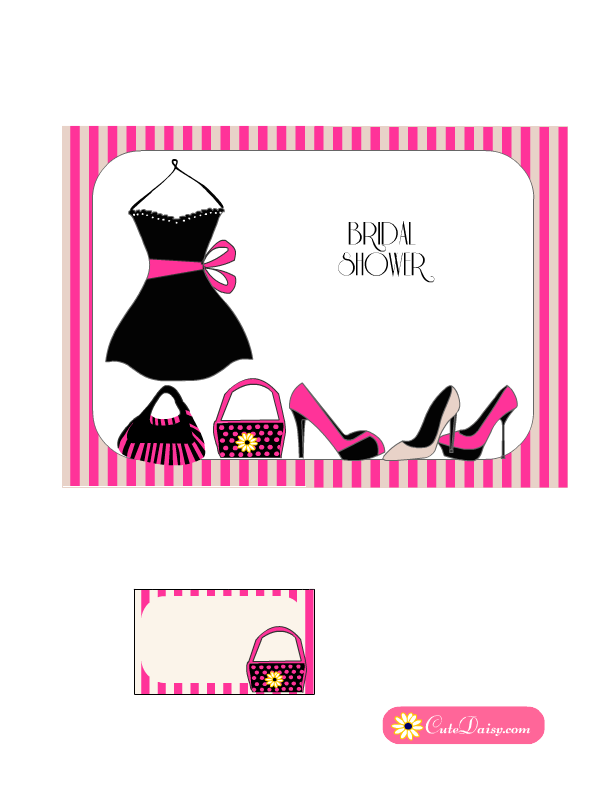 This is my most favorite color among these free printable invitations that I have created today. I have also added a cute little matching address label with each invitation that you can paste on any blank envelope to make it match you bridal shower invitation. 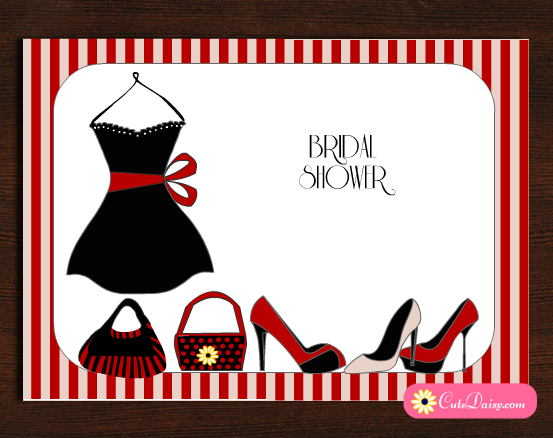 Click here to download this beautiful invitation. Click here to download another color variation for this beautiful Little black dress themed invitation. It is a beautiful beige and brown combination. I also like this beautiful invitation in this combination of pink and beige. Click here to download it. This is another very beautiful and elegant color combination. Click here to download it. If you like this post, please do not forget to press the like button below, leave a comment and share this on Pinterest, Facebook and other social media platforms.